A1 Mercia Taxi always provides clean, quality and saloon style vehicles as standard but estates, MPV`s and also wheelchair accessible vehicles are also available on request. Airport transfers to and from Hinckley to any nearby Airports like Midlands ,Heathrow, Gatwick, Birmingham, East, Luton are being undertaken. 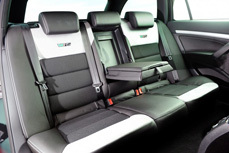 We can also provide multi seated vehicles for parties of between 5 and 9 persons. All vehicles are local authority tested at least twice yearly, so that you can be assured of the highest standards of safety and comfort. Our All vehicles are fitted with GPS tracking for extra peace of mind and to ensure the closest car is sent to you. On request an executive service is available and vehicles with laptop ports can be provided.